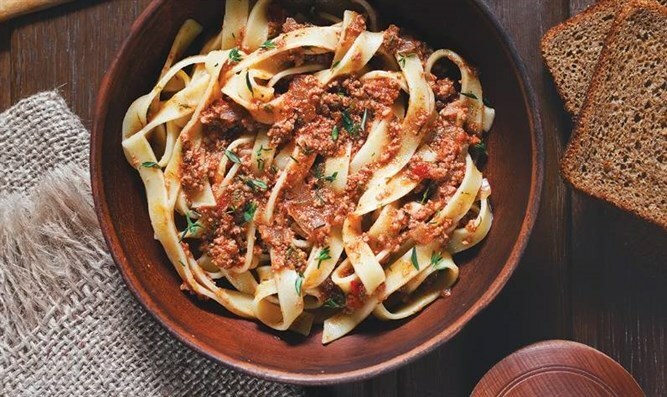 On the days when you don’t feel like fussing over supper, this baked bolognese is a perfect and delicious combo. In a large frying pan, heat oil for sautéing. Add onions and sauté until golden. Add the garlic, meat, and seasonings. Cook while stirring, until the color of the meat changes, then cook another two minutes. Remove from heat and combine with pasta in a bowl. In a separate bowl, mix eggs, water, and flour into a smooth paste. Pour over pasta and mix well. Transfer to a 9- x 13-inch (20- x 30-centimeter) baking pan or oven-to-tableware dish. Cover with aluminum foil and bake for 20 minutes.